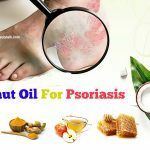 < Prev Post Top 7 Essential Oils For Dry Skin Treatment: Why & How To Use Them? Whether it is a curly or straight, long or short hair, every woman wants to own a luscious and shiny hair. Unluckily, some of us naturally have dull, dry, & frizzy hair. 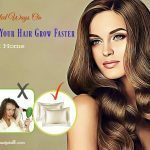 Even if you naturally have healthy, lustrous hair, facing with dryness is unavoidable when you constantly use chemical treatments, heat styling tools, and pollution. When treating dryness, you can look for some effective & natural hair care ingredients in your kitchen. Using these natural ingredients is not only safe, but it also leaves you the smooth & shiny hair without any chemicals. Although it can take longer to notice results, it won't definitely make you down. Today let Beauty Talk show you some of the good ways to make a natural hair mask for dry hair treatment at home. Let’s check them out! Yogurt is one of the common natural ingredients for hair care. It is rich in fatty acids and essential vitamins that are great for hair health . It contains lactic acid and proteins that help to nourish your dry hair and enriches the scalp. Yogurt can also help condition the hair and make it manageable. Because it is loaded with moisturizing properties, it aids in repairing dry, damaged hair. Firstly, mix yogurt, honey, and almond oil together in a bowl to form a smooth paste. Then, apply the paste to your hair & scalp with the help of an applicator brush. Next, keep it on there for 30 – 40 minutes. After that, rinse it off under running water and then shampoo the hair with a natural shampoo. Finally, let your hair dry naturally. Remember to use this homemade hair mask for dry hair once per week. 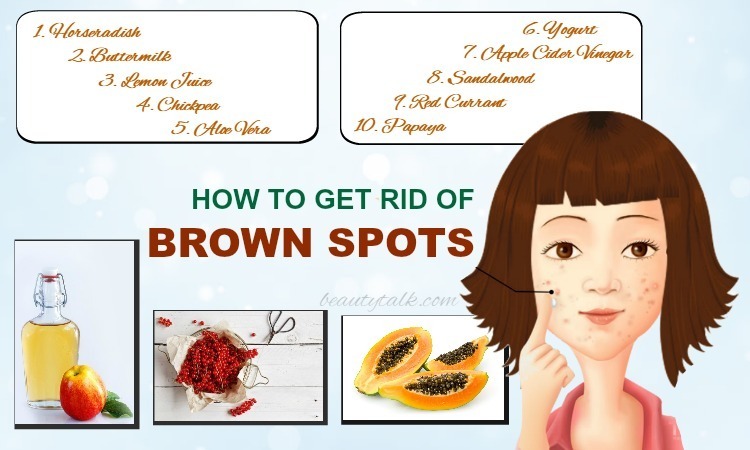 In addition to being a great moisturizer for your skin, gram flour works equally well on the hair. Especially for people with dry hair, gram flour treatment helps give a soft texture and shine that makes dry hair manageable. This homemade hair mask for dry hair will give you a shiny hair. Gram flour – 3 tbsp. In a bowl, mix coconut milk and gram flour together to get a smooth paste. Then, apply the mixture to the hair from the roots to the tips. Now, put up the hair in a bun and let it sit for 15 to 20 minutes. Finally, wash the hair with warm water and your regular shampoo. Use this mask once a week for better results. This hair mask helps to remove impurities from the hair, condition it, and make it soft & silky. Coconut oil doesn't contain the scary chemicals lurking in commercial hair care products, and it is an excellent conditioner. According to one study in 2003, coconut oil outperforms mineral oil and sunflower oil, and it is the only oil which lowers protein loss . Remember not to use all beauty products that have mineral oil, especially for babies. The protein loss of hair results in dryness & breakage. 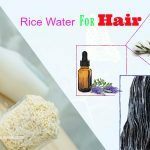 Its lauric acid content is low in the molecular weight, and it actually penetrates the hair shaft, which nourishes the hair with its minerals, vitamins, and fatty acids. Firstly, mix coconut with olive oil in a bowl. Then, apply the mixture to the hair, focusing on brittle ends. After that, wrap the hair into a bun and cover with a clean shower cap. Next, let the mixture sit for 15 to 30 minutes. Finally, rinse the hair and then shampoo and condition it. Honey is considered as an emollient, which means honey can seal moisture in the hair to keep it conditioned . This, in turn, reduces breakage, a cause of slower hair growth. Moreover, honey has strong antioxidant properties that prevent damage, keeping the hair and scalp healthy. Honey aids in cleaning the hair follicles by removing impurities. 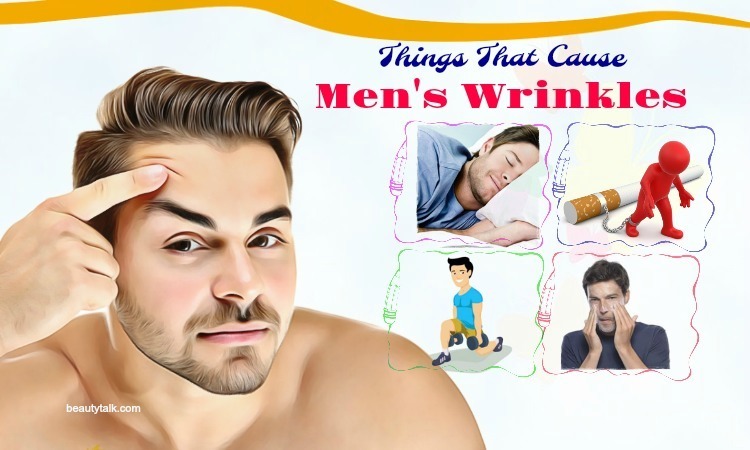 This clogging often causes hair loss. Using honey as an ingredient for hair care boosts hair growth and stimulates hair regrowth. After shampooing, pat your hair dry until damp. Then, mix honey with olive oil together and massage the mixture into the scalp. Now, coat lightly the pack on your hair strands. After that, allow it to sit for about 10 minutes. 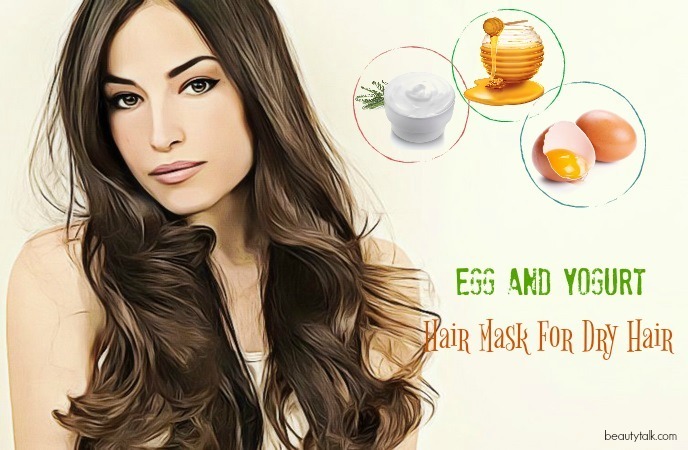 Eggs are enriched with protein, biotin, and sulfur, all of which are essential for a strong and healthy hair. Our hair contains 70 percent keratin protein, so eggs may rebuild a dry, damaged hair to make it smooth and moisturized. Moreover, the lutein present in egg yolks helps heal brittle hair, which curbs breakage & split ends and improves the texture of the hair. Firstly, separate the egg yolk from the egg whites. Then, add water to it and beat them well until the mixture is fluffy. Now, apply the hair mask to your hair and allow it to sit for 30 minutes. Virgin coconut oil – 1 tbsp. Full-fat yogurt – 1 tbsp. Virgin olive oil – 1 tbsp. Firstly, crack an egg into one bowl and whisk it well. Then, mix yogurt, coconut oil, & olive oil with the egg mixture to form a smooth paste. Now, apply the mask to the hair and let it sit on for 40 minutes. Finally, wash your hair with your regular shampoo and then let it dry. Use this mask 1 to 2 times per week to moisturize and nourish the dry hair. The egg yolk is an abundant content of folic acid and B-complex vitamins, both of which are referred to as the hair food. In addition, the fatty acids in the yolk make it an effective conditioning ingredient, which is beneficial for people with a dry hair. 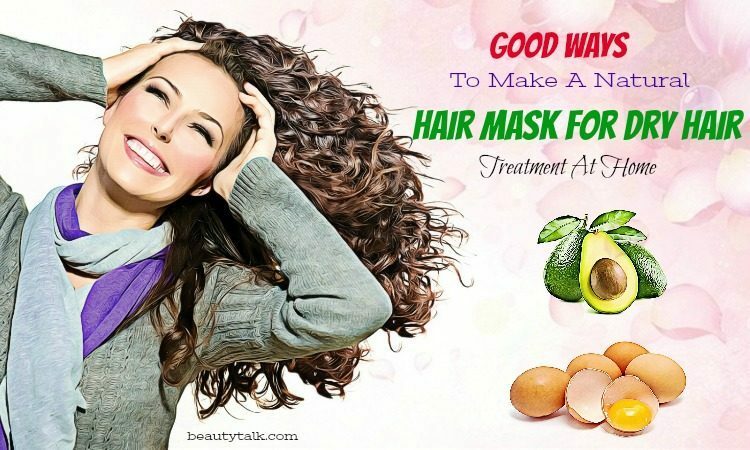 Using these egg hair masks helps to get a soft, strong, and silky hair. The protein present in yogurt will strengthen the hair from the roots and also add extra shine to the hair, without eliminating its natural moisture. Firstly, beat two eggs in a bowl. Then, add honey and yogurt to it and mix them well to get a creamy paste. Now, apply this mask to your hair and keep it for 20 minutes. Finally, wash the hair with cool water. This hair mask for dry hair will leave the hair feeling conditioned without feeling sticky. When talking about sealing moisture in the hair, never ignore avocado. Avocados help to increase hair elasticity and make the hair stronger and softer. This fruit also contains essential fatty acids that aid in restoring the hair health. In addition, the nutrients and natural oils found in avocados make it a great remedy for dry, damaged hair. Firstly, make a smooth mixture of the egg yolk and avocado with the help of a blender. Then, apply the hair mask to the hair strands. Now, pin the hair up and wrap it in a shower cap. After that, wait for 15 to 20 minutes. Finally, rinse the hair and then shampoo and condition it as usual. Firstly, cut an avocado into two halves and remove the seed. Then, scoop out the avocado meat with the help of a spoon and put it into one clean bowl. Now, mash it into a smooth pulp with a fork. Next, mix it with coconut milk & olive oil to form a smooth mask for your hair. After that, apply the mask to your wet hair & scalp with your applicator brush and wait for 20 minutes. Finally, rinse it off with your regular shampoo and let it dry. Remember to use this hair mask once a week. Firstly, mash the avocado and banana together to get a smooth paste. Then, apply the paste to your hair and wait for 30 minutes. Finally, wash off the hair with cool water. Both these ingredients have natural oils that help to condition your hair and nourish your hair and scalp. Coconut milk helps to nourish your hair with its rich protein content and moisturize your dry strands, which gives you a strong, shiny, & bouncy hair. It also contains excellent moisturizing properties, which makes it perfect for a dry hair. It is also beneficial for restoring a damaged and brittle hair while removing split ends. In addition, coconut milk is loaded with all the essential nutrients that are essential for a healthy hair, which boosts up your hair follicles and also promotes hair growth. Firstly, add coconut milk to a mixing bowl and then add raw honey and lemon juice to it. Then, blend these ingredients together with a small, motorized whisk to get a smooth paste. Now, apply the mask to your hair and cover the head with a cap. Next, keep the mask on for 25 minutes. Finally, rinse it off with water and then shampoo your hair. Let the hair dry naturally. 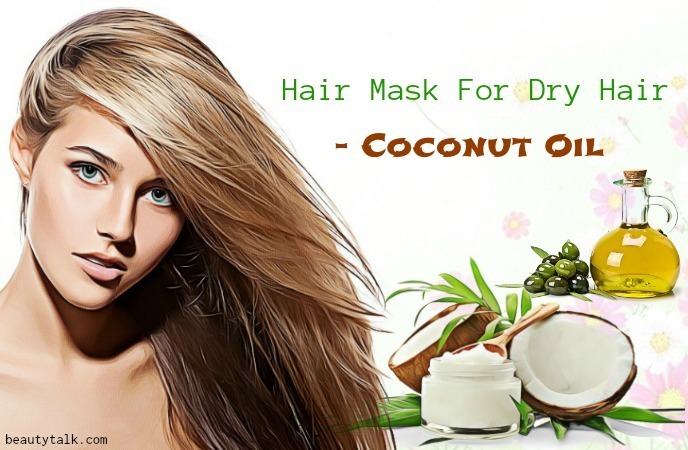 Remember to use this natural hair mask for dry hair every 4 days to get silky hair. At first, mash the avocado well to get a smooth pulp. Then, add coconut milk to the mashed avocado and mix them to form a smooth paste. 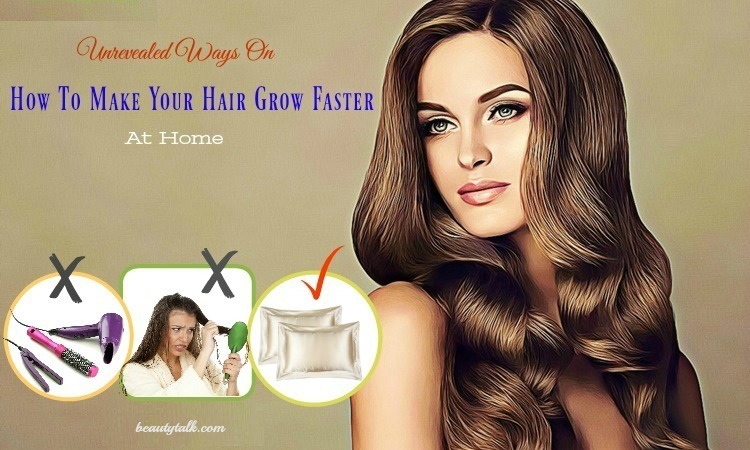 Now, apply the hair pack to your hair and wait for 45 to 60 minutes. Finally, rinse it off with cool water and shampoo. 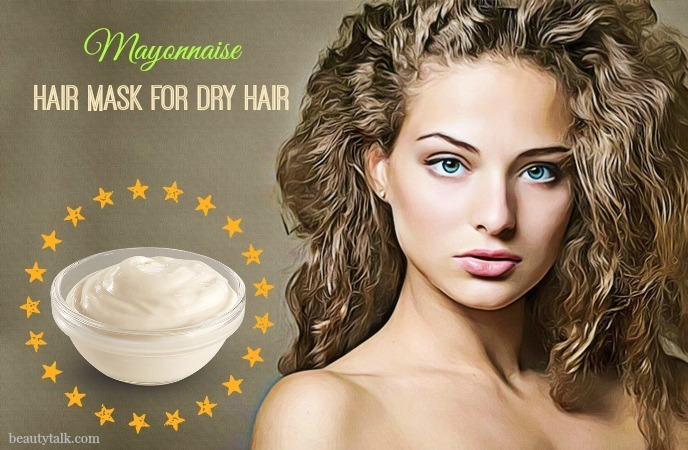 For people who want to condition their hair to make it soft, manageable, and smooth, mayonnaise could be one of the best ingredients to use. It helps seal the hair cuticles shut, which keeps the moisture from the atmosphere sneaking into your hair. This helps to keep the hair calm & smooth. Moreover, mayonnaise is packed with L-cysteine, one of the powerful antioxidants that provide strength, volume, and shine to your hair. In fact, it is beneficial for a dry, damaged hair. Firstly, whip the mayonnaise thoroughly until it is fluffy. Now, cover your hair with your shower cap and wait for 30 minutes. Finally, rinse the hair with cold water & shampoo. Firstly, take the juice of one lemon. Next, mix the above ingredients in a bowl. Now, shampoo your hair and then apply the pack to the hair. After that, let it sit for 5 minutes. Finally, rinse the hair well. Aloe vera – 4 tbsp. 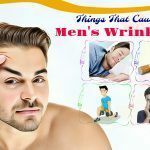 Carrier oil – 2 tbsp. At first, combine the above ingredients in a bowl to form a consistent mixture. Then, section your hair and apply the hair pack to your hair. Now, leave the pack on for 30 minutes and then rinse it off with lukewarm water. When used regularly, this pack helps to leave your hair feeling luscious, soft, and healthy. Banana has proteins that help to improve hair elasticity while it also moisturizes hair strands and hydrates your scalp thanks to its rich source of natural oils and nutrients such as calcium, carbohydrates, and potassium. In addition, bananas help nourish a dry and brittle hair, which improves its natural shine. 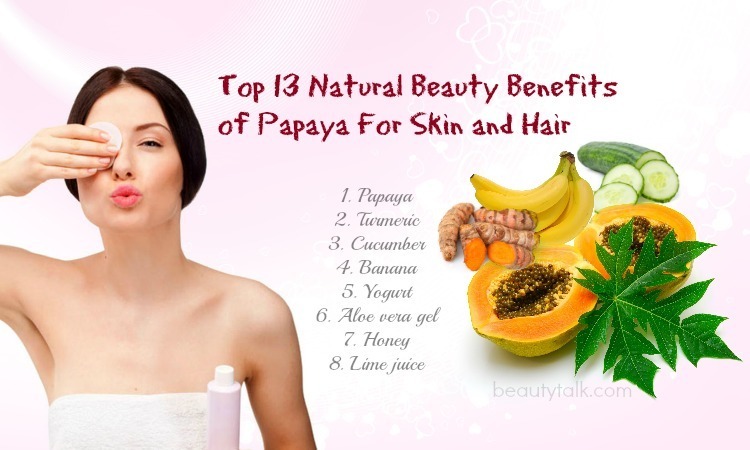 This wonderful fruit enriches your hair follicles, which promotes hair growth. In this natural hair mask for dry skin, whole milk contains crucial proteins that can further nourish and strengthen the hair. Moreover, cocoa powder contains moisturizing properties and helps to boost deep brown tones in the hair, especially when you are a brunette or redhead. Firstly, peel and break a banana into pieces and then put them in a clean bowl. Next, mash these pieces thoroughly with a fork. Then, add milk & cocoa powder to it to form a smooth paste. Now, apply the hair mask to your hair with the help of a dye brush. After that, leave it on for 30 minutes and then rinse it off with water. Finally, wash your hair with your shampoo and dry it naturally. Remember to use this hair mask 1 time a week. At first, mix the above ingredients in a blender to get a smooth liquid. Then, saturate the hair with this hair mask, massaging into your scalp. Now, cover the hair with your shower cap and then wrap a warm towel. The heat helps to create deeper penetration. After that, let sit for about 15 minutes. Finally, rinse the hair off. 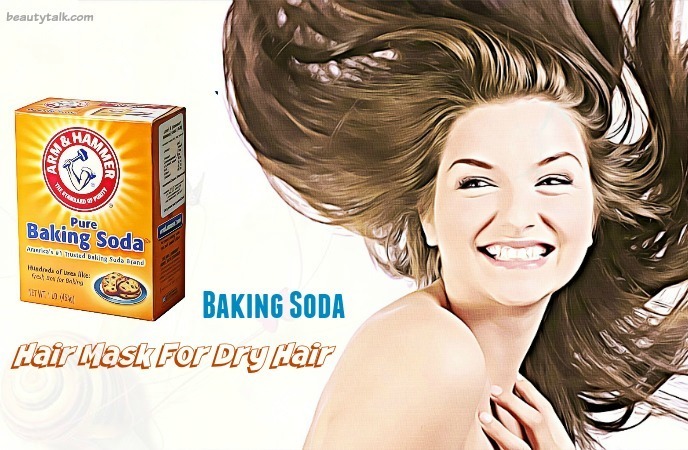 Baking soda is beneficial for removing impurities and excess product in your hair without any hash chemicals that commercial shampoos contain. It also closes the hair cuticles to keep the hair hydrated because it's alkaline in nature. As you may know, a dry hair attracts dirt and cleansing the hair thoroughly is necessary to keep its health. 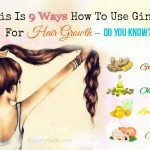 In addition, it helps to add volume to the hair without removing its natural oils. 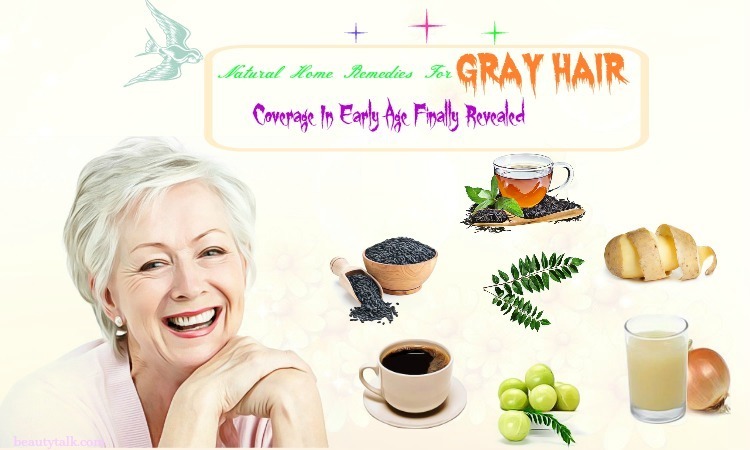 This hair mask also helps to curb hair loss and enhance new hair regrowth. Firstly, combine baking soda with water in a bowl to make a paste and then set it aside. After that, add the hair pack to the hair or comb the paste through the hair. Now, let it sit for about 15 minutes. Finally, wash your hair & condition. Or, you can simply beat baking soda into one egg and then apply the mask to your hair. Leave it on for about 15 minutes and then shampoo it as usual. Firstly, avoid using a hairdryer if you own a dry, damaged hair. The heat further dehydrates and damages the hair. Don’t use curling irons and hair straighteners because they also cause damage to the hair. After using a hair mask, wear a shower cap or wrap a muslin cloth around the head for better absorption. You may also treat the hair with almond or coconut oil once per week to remove dry and frizzy hair. 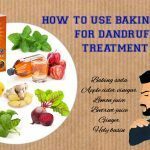 Here are top 18 good ways to make a natural hair mask for dry hair treatment at home that you can try applying easily without wasting your time and money. These masks help you to get a soft, strong, and silky hair easily. If you want to get more information about hair care, please visit our main Hair Care page.